Have you ever wondered what Quakers mean when they talk about a 'concern'? While each personal experience is unique, this book outlines some general principles. It follows the course of a concern from initial promptings to testing, developing and acting on it, and eventually perhaps laying it down. The author also explores other ways in which Quakers might share their experience of living out their faith in their daily lives. 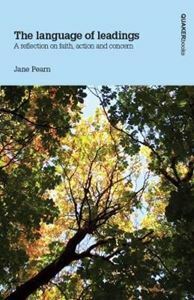 Jane Pearn draws on her interest in language and her 30 years as a Quaker to consider the meaning of concern in her own life and in the lives of others. A Woodbrooke Eva Koch Scholarship in 2016 enabled her to spend time reflecting on past Quaker writings and listening to Friends' expressions of being led by the Spirit today. Where do we stand on lived witness, on social testimony? Jonathan Dale carries forward ideas expounded in his Swarthmore Lecture of 1996.